Ahh....it's that time of the year again. Time for the summer to end and the kids to go back to school. Right now everywhere you go, you will see school supplies! We homeschool, so even though we don't have to have as much or even the same thing as other kids...we still need them. This Stanley Bostitch Dynamo Stapler from Shoplet is going to be our best friend this school year! 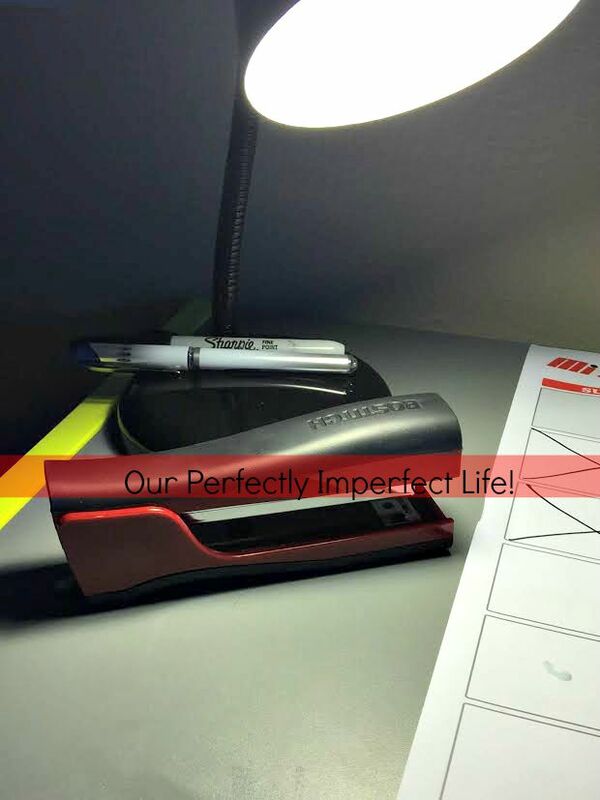 I'm going to be honest, When I signed up to review this stapler...I thought it was "just" another regular stapler, but I absolutely loved the color and well...we needed a full size stapler! 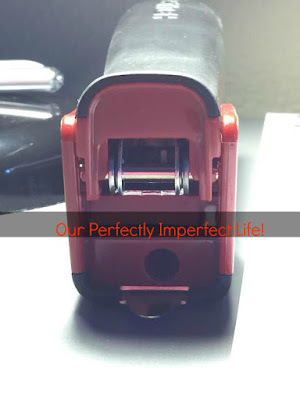 When it arrived, I was very, very surprised to see that it's NOT just a regular stapler...it's so, so much more than that! It has a built-in stapler...how awesome is that?!? We are FOREVER looking for our pencil sharpener! Now we will always know where one is. 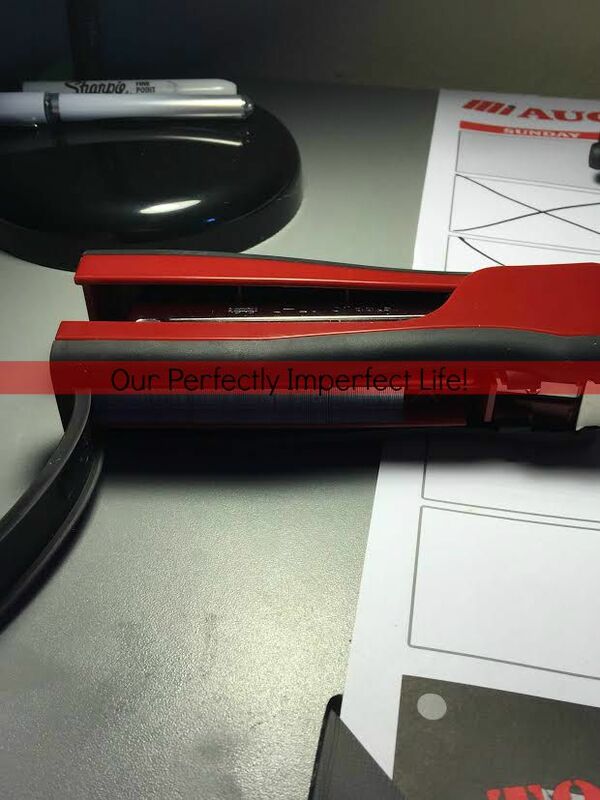 It also has a built in staple remover. I don't really use that, but I'm sure it may come in handy eventually. 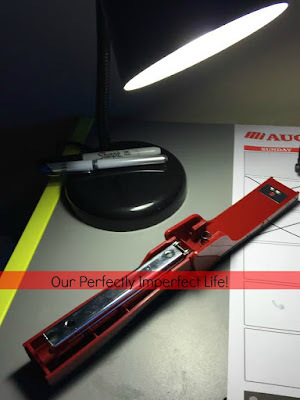 It opens 180 degrees, which is great for tacking items to a wall or bulletin board, or if you are into crafting. I don't really need that feature right now, but it's nice to know that it does it if I ever DO need to tack something. Finally, the last AWESOME feature is that it comes with a built in stapler storage on the bottom. I was kind of bummed when I first pulled it out of it's box because I thought it didn't have staples with it, but it comes with 420 staples! I am very, very pleased with this stapler and don't have any plans on going back to my little one. If you are in the market for a new stapler make sure you check out the Stanley Bostitch Dynamo Stapler offered at Shoplet. 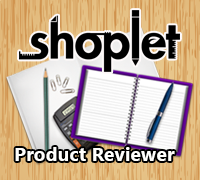 This post is sponserd by shoplet. I am not paid for this post, but I was given the Stanlet Bostitch Dynamo Stapler free in exchange for my honest review. I am not required to write a positive review. All opinions expressed are 100% my own.